Confession time… I’m a bit of a Game of Thrones fan, and I’m a little excited that it’s back on Monday. Hey, we’ve all got our guilty pleasures! It does highlight to me, though, just how quickly the media world continues to change… and how much it stays the same. Great content still rules the kingdom, no matter how you access it. It’s been another huge week of content creation at WhichCar HQ, starting our week with a great travel piece around the Blue Mountains of NSW, which linked back into last week’s episode of WhichCar TV. We also added to our rolling stories that we use to cover our long-term fleet of test cars, including the Hyundai Ioniq EV and the Volkswagen Tiguan Allspace SUV. Living with cars is still the best way of revealing their true characters, and are still proving to be popular draws for the site. WhichCar TVis back on the box on 10 this weekend, too, at the new time of 3pm. It’s a cracker, too; Dan heads to Bahrain to track-test a Lamborghini, while more affordable but equally enticing hot hatches from Renault and Volkswagen are put to the sword. You can also catch up on all of our episodes on TenPlay. Rounding out the fun is a look at one of the quirkiest – and most popular in terms of search – cars on the market today, the Suzuki Jimny. We used the chance to examine the state of the old-school 4x4 market, too – and it’s quite revealing. 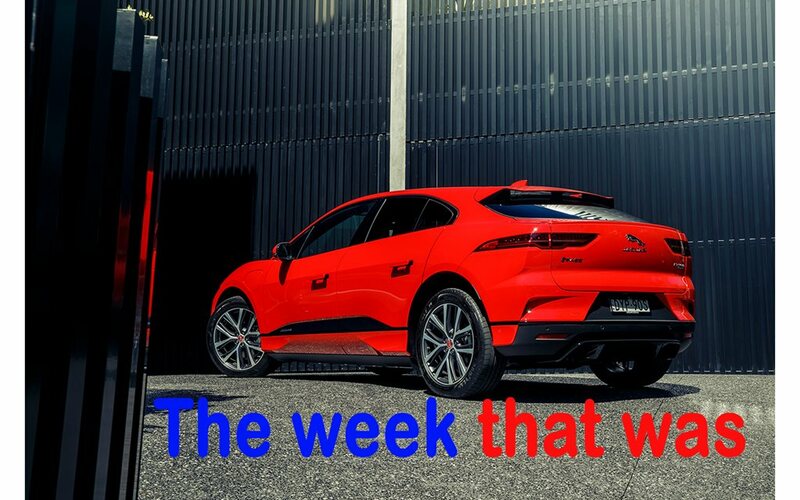 The big-traffic stories of the week included revelations that Toyota’s next-gen Hilux will be electrified, an examination of the political spin around the notion of electric cars, the results of the Gosford Motor Museum auction and a look at an amazing Australian project to convert old tyres into biodiesel. We also examined whether Australian car manufacturing could ever make a comeback. A surprise hit for WhichCar this week came in the form of a great pick-up from the Motor mag crew around the potential of a Chevrolet Camaro joining the Supercars ranks. While motorsport isn’t a core directive, it’s a great example of how a good story will always prevail. Lots of interaction with the wider industry this week, too, particularly with the launch of Mazda’s new 3 hatchback. It’s an interesting time for the category of cars once derided as mere ‘econoboxes’, as car makers address lower fleet sales with more highly specced yet well-priced models. Lots of bums on car seats again this week, too, including a stint in the Mercedes-AMG E53, a look at the new base-spec VW Tiguan R-Line, a deep dive on the Lamborghini Urus and a peek at the Lexus UX, Hyundai Santa Fe Highlander and Mazda CX-9. Our renewed focus on advice continued, as well, with the team answering reader questions about which hatch is best for a young first new-car buyer, which ute suits the needs of a country family, and which electric cars are arriving locally in 2019. That’s it from WhichCar this week. Have a great weekend, and don’t forget to tune in to Channel 10 on Sunday at the special time of 3.00pm!